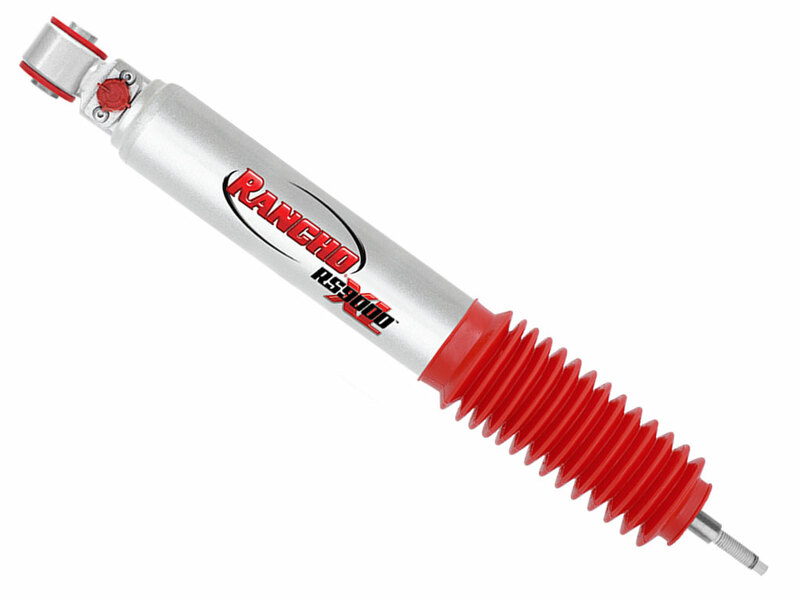 Rancho is an exclusive four-wheel drive shock absorber and suspension springs brand that can improve your ride whether you are travelling through the rough Aussie outback, taking your family on an off-road adventure, towing your caravan or your drive to work. 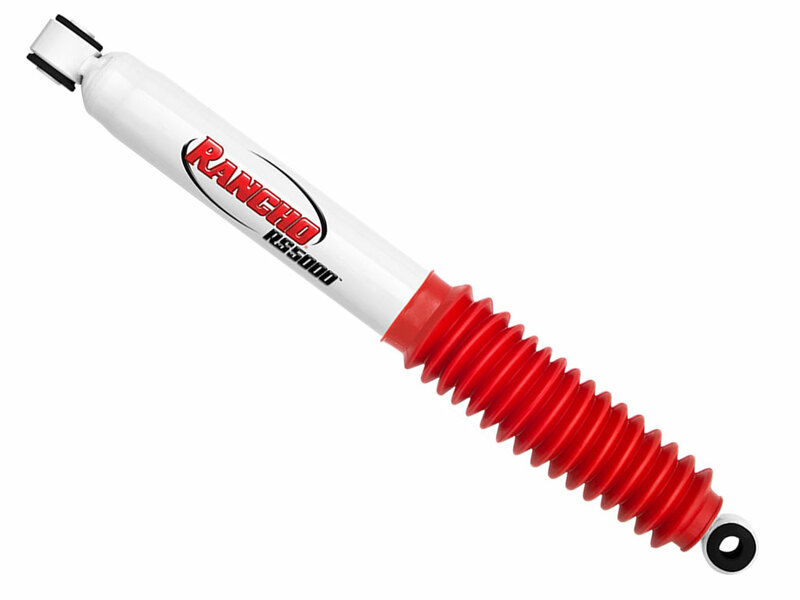 Featuring Rancho’s exclusive Cross-Tuned Technology, this four-wheel drive replacement shock absorber range provides significantly improved on and off-road handling performance thanks to several significant engineering enhancements. Rancho shock absorbers, accessories and other related products deliver rugged performance for work and play in any on – or off-road environment. We carry a huge range of Rancho 5000’s, 5000X’s and 9000XL’s in stock to suit most standard or Raised SUV’s and trucks, contact us for more info today. 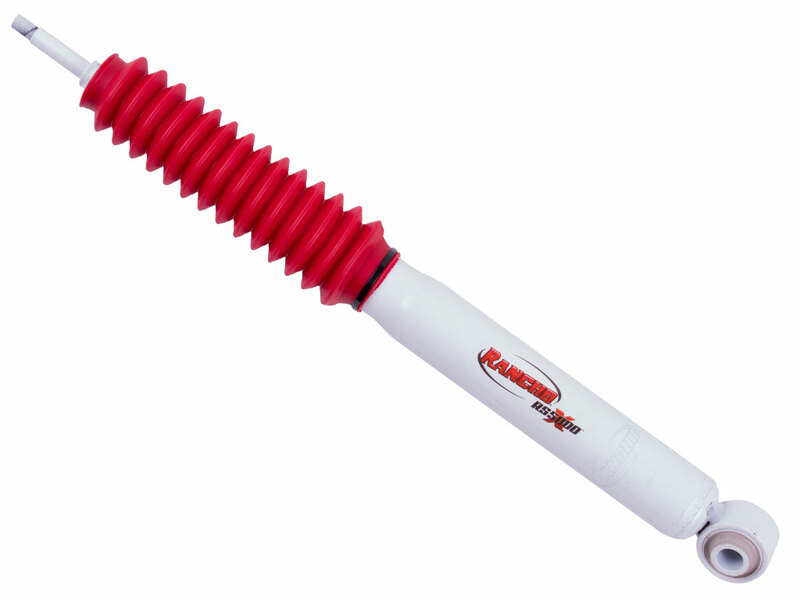 Rancho RS5000 shocks have been the shock of choice all over the globe since 1985. These iconic shocks were the first to deliver application-specific valving and are tuned to each unique vehicle model. Ideal for work or play, Rancho RS5000 shocks deliver a comfortable highway ride while being responsive during off-road driving on any stock or lifted application. The world’s most proven performance shocks! The Rancho RS5000X series design includes patented progressive rebound and compression discs. At lower speeds or in the earlier stages of the shock’s travel, a low-speed tuning disc in the valve shim stacks will engage the valving at lower frequencies, helping to control the energy of motion as the cycle of the shock increases or decreases in its action. When hitting a pothole, off-road trail obstacle or similar activity, Rancho’s Progressive Engagement Valving allows for an early flow of fluid, helping to reduce harsh initial impacts and to control the flow of fluid in a progressive, gradual manner through the valving. During on- or off-road driving activities like washboard roads or when travelling a rough fire road, the early flow of fluid helps to minimize a “rough” ride as the piston movement is able to glide through the initial travel motion of the shock with minimal ground impact or force. If needed, the Progressive Engagement Valving will further engage to maintain control and stability. The Rancho RS9000XL 9-position adjustable series delivers nine levels of performance to on- and off-road trucks, SUVs and Jeeps. Globally recognized as the first 9-position manually adjustable ride control series in the off-road market, the advanced RS9000XL series is ideal for on- and off-road use, towing and more. The adjustable damping enhances ride characteristics by counteracting the additional unsprung mass inherent in larger tire and wheel combinations. Engineered and manufactured in the U.S.